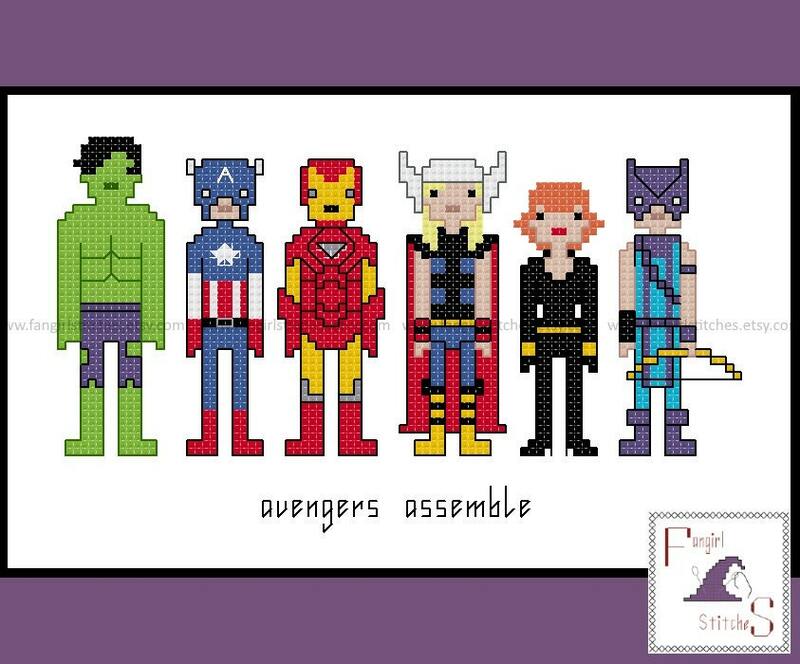 Featuring the classic/movie Avengers line-up in their comic-book costumes, this counted cross stitch pattern includes the Hulk, Captain America, Ironman, Thor, Black Widow and Hawkeye. Do you have an alternative preferred Avengers line-up? 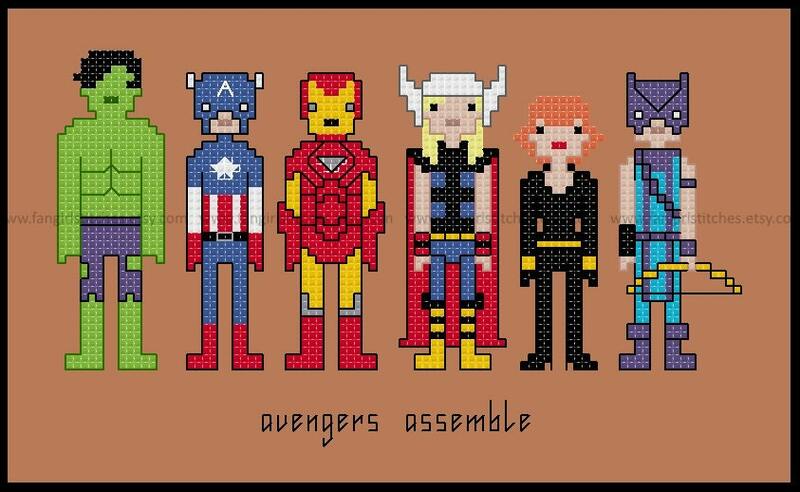 Why not request a customised pattern of your own?! Easy pattern with great colors. My niece will flip over this one. 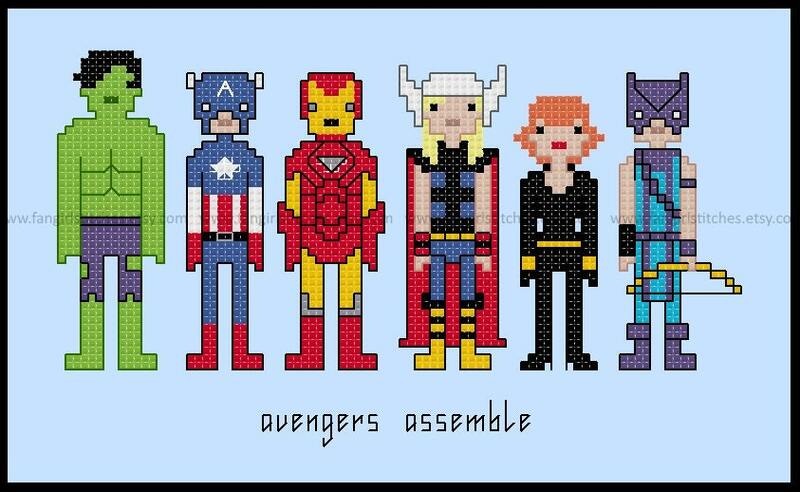 Can't wait to stitch this for my nephew! Love this! Pattern easy to read!